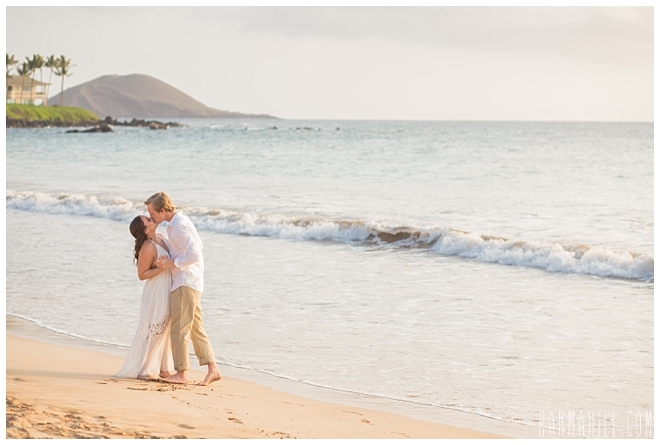 Mallory always dreamed of a wedding on the beach in Maui, Kolby wanted a big wedding with the whole family back home. 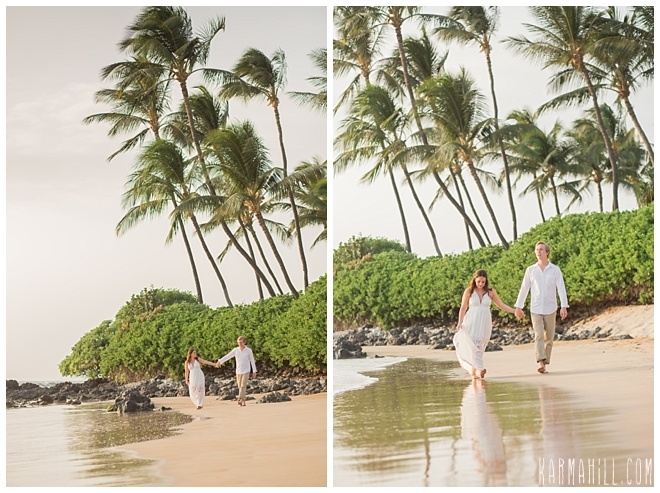 So to compromise, they got their engagement portraits in Maui and are having their wedding near a body of water back home. Seeing how they did so well with compromise in just their wedding planning, I would say these two are off to a great start for a successful marriage! 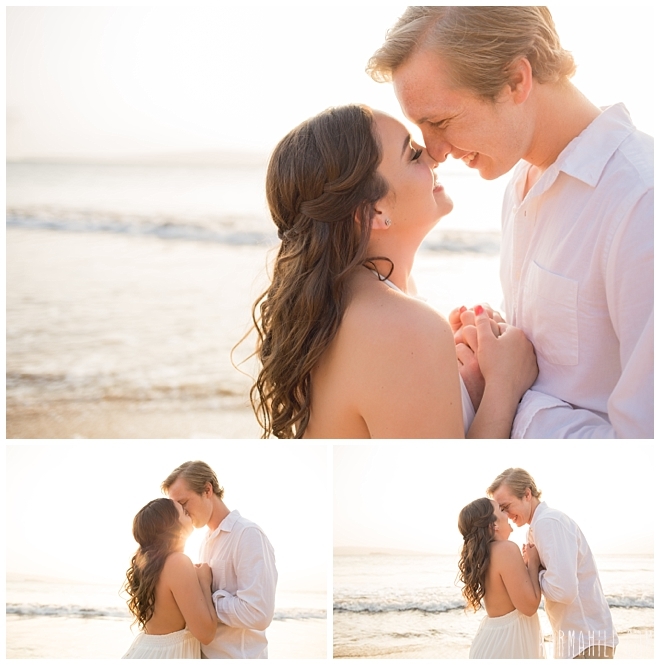 I had a blast with this couple, they were so sweet and fun and just so in love it made my job easy! It was a bit of a voggy night (when it gets hazy because of smog from the volcano on the big island) but it made for some pretty soft light and an interesting sunset! 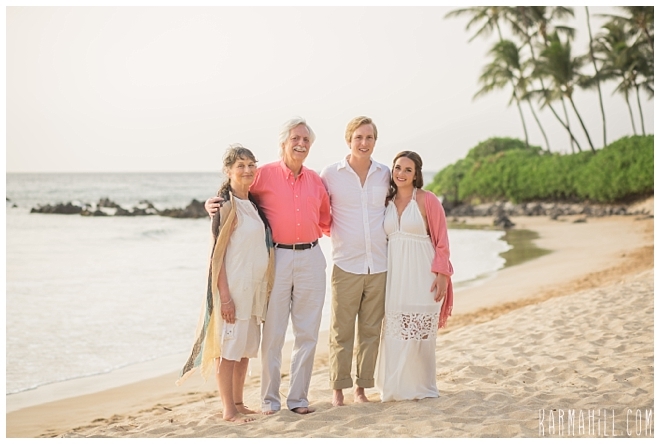 It was great that we could also get a few shots with Mallory's parents before they left to go watch the sunset further south near the lava fields. 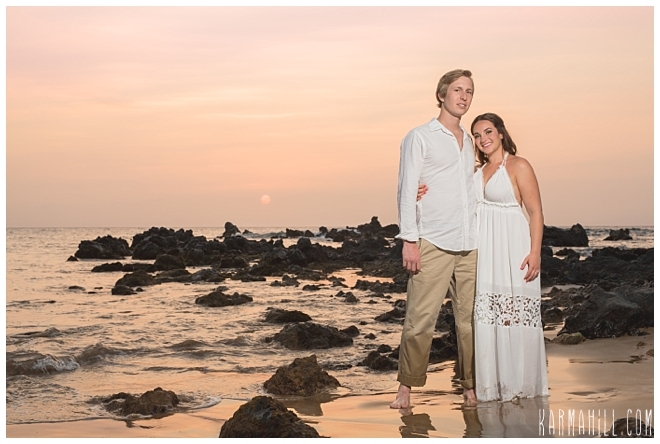 Thank you SO much for choosing me to be your Maui Photographer Mallory and Kolby and best wishes for a fabulous wedding! I can't wait to see the pictures!! 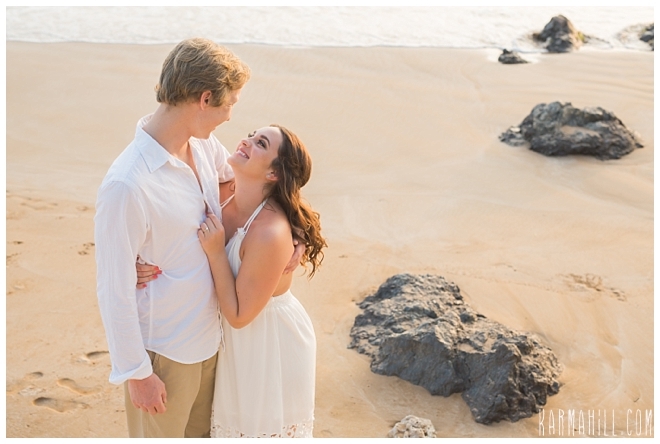 I just love this shot of this Maui engagement on the beach in South Maui. 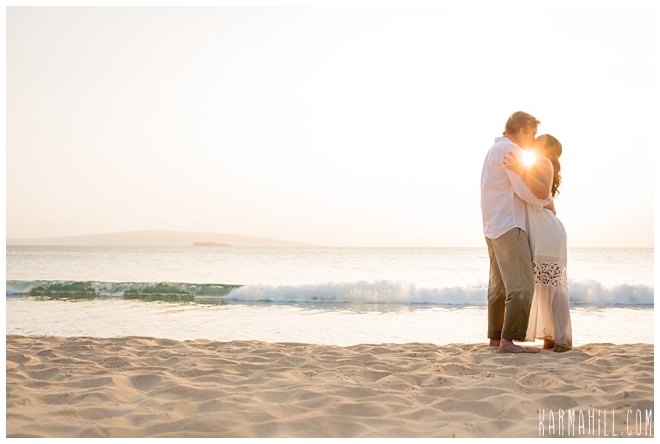 Check out our last Maui engagement session with Luve & Pritha!